The 5ft 3" wide 5x6 Eden Countess Greenhouses are perfect for the gardener with limited space a perfect growing space to get growing all sorts of plants and vegetables. This Eden Countess Green 5x6 Greenhouse with horticultural glazing has 1 opening roof vent for ventilation, a single sliding door and integral gutters to collect rainwater. 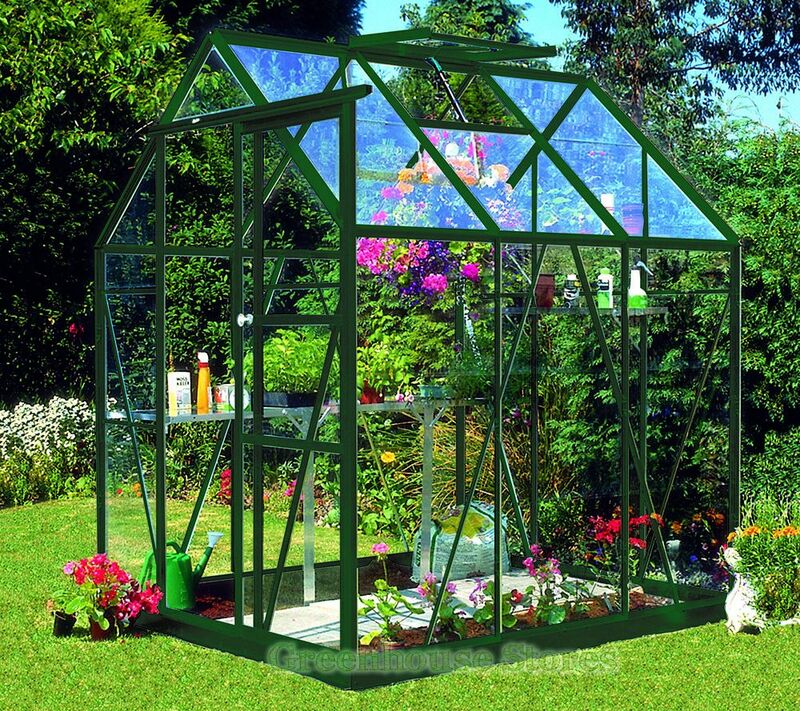 The green powder coated finish lets the greenhouse blend in with the surroundings in your garden while protecting the aluminium frame from the elements.